Whitehaven Coal is riding a wave of multi-year highs in coal prices but a few uncertainties are creeping into the outlook. Buoyant coal prices are supporting Whitehaven Coal ((WHC)) and the outlook for FY19 remains robust, although brokers are increasingly concerned about the issues at Narrabri. Realised metallurgical coal prices were above most expectations, at US$131/t, while thermal coal was below most expectations, at US$98/t in the June quarter. Saleable coal production was 3.8mt and down -9% on the prior corresponding quarter. The company has achieved FY18 saleable coal guidance of 20.9mt, which is flat year-on-year and Maules Creek and Gunnedah performed well. Narrabri achieved FY18 guidance of 6.3mt, although saleable production was down -44%. The longwall move has now shifted to the September quarter and this will likely impact FY19 guidance. CLSA is a little worried about the guidance, as price realisation was lower than expected, and thermal coal was surprisingly weak because of increased low caloric value sales. Higher cash costs are implied in FY19, attributable to lower volumes from Narrabri as well as higher diesel costs and sector inflation. CLSA suggests, in any other market, the stock would have been sold off but, with thermal coal circling US$110/t or more, the market shrugs this off because of the attractive free cash flow yield and upside to capital returns. As thermal coal remains tight, the broker is positive on the outlook for prices and believes Whitehaven Coal is the best placed amongst the global coal peers to provide operating leverage to thermal coal. The broker, not one of the eight stockbrokers monitored daily on the FNArena database, retains an Outperform rating and $5.80 target. Shaw and Partners, not one of the eight, finds a lot to like about the stock, although concedes the June quarter numbers while good were not great and underpinned by a seven-year high in the coal price. There are also operating headwinds at Narrabri and costs are creeping higher. The broker finds the sales mix unflattering, with a large an uptick in low value thermal coal and a drop off in metallurgical coal sales. The latter is attributable to the negative price arbitrage between thermal and intermediate coking coal as well as lower availability at both Narrabri and Werris Creek. Shaw and Partners has a Sell rating and $2.70 target. The share price has had a strong run so Credit Suisse downgrades to Neutral on valuation grounds. The broker is less convinced about the quantum of capital returns to be delivered in August and notes a heightened risk to FY19 guidance for Narrabri. Achieved thermal coal prices were well below Ord Minnett's expectations as well. Even the robust Maules Creek operation was slightly below expectations. However, the broker notes bullish commentary from the company regarding the outlook for coal prices, particularly thermal coal. The stock is considered quite cheap at current multiples and Ord Minnett maintains an Accumulate rating. Production issues at Narrabri were more significant in the June quarter with delays in the longwall panel meaning the change over now moves into FY19, putting production guidance of 7.7mt at risk. Narrabri is the area of most concern to brokers because of ongoing geotechnical problems and new mechanical issues. Credit Suisse considers the FY19 guidance for 7.7mt is now stale and questions the profile beyond FY19. Despite downgrading, Credit Suisse agrees the stock is not expensive, particularly taking into account the capacity for capital management beyond the current policy. The broker envisages two offsetting views. The first is those continuing to seek exposure to a strong coal price and the second is those who struggle to justify putting more money into a stock that has had a strong run up, given the uncertainty at Narrabri. Hence, Credit Suisse considers the previous risk/reward trade-off has moderated. Whitehaven Coal is set to lodge its environmental impact statement in August for the expanded Vickery project, which would allow discussions to commence with partners. UBS notes Vickery is increasingly a priority. 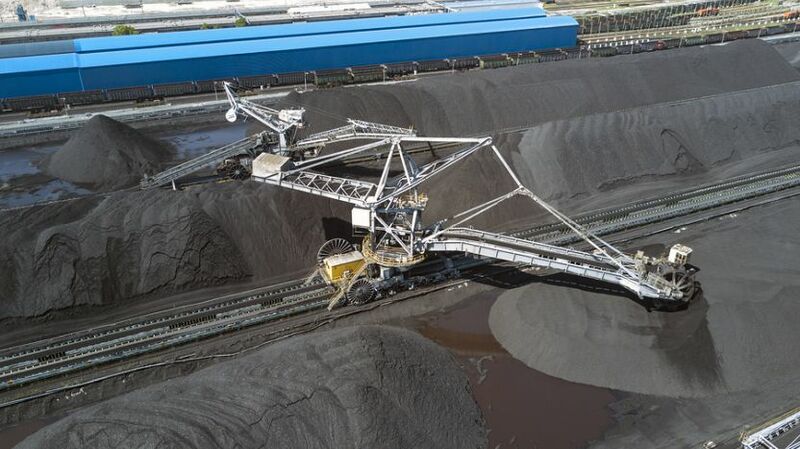 The company expects an 18-month period for approval processes which means construction could start in early 2020, with first coal by the end of 2020 that can be processed by the Gunnedah plant. While the capacity for large capital returns has not dissipated, the funds for Winchester South are going out in the current half-year which means a profile for capital returns may be pushed out, Credit Suisse asserts. Winchester South is envisaged as an opportunity that will come after Vickery. The database shows four Buy ratings and four Hold for Whitehaven Coal. The consensus target is $5.25, signalling -4.3% downside to the last share price. The dividend yield on FY18 and FY19 forecasts is 5.6% and 4.3% respectively.